Were you expecting coal for Christmas? Too bad! It’s a KyoSaya doujin. Have a Merry Christmas! How is it “too bad” that we’re getting KyoSaya rather than coal? I noticed that everyone hates Hitomi for making Sayaka suffer but have you ever thought that she took the fag so that Kyoko could get Sayaka? I don’t hate her that much anymore. Also, this was awesome! Thanks guys! If it’s possible to die from Yuri overdose, that’s how I wanna go. ‘t was great. Short, but very enjoyable. very cute. I noticed Mami got some KFC. She must of waited in line forever to get that. I hear kentucky fried chicken is a big deal in Japan and you have to order it months in advance for Christmas..
KyoSaya for Christmas?! And its Momoya Chika?! Santa IS real. Thank you guys and happy holidays! So cuuuuuuuuuuuuuute!!! Merry KyoSayamas! These two are so adorable together, it’s madness! Yuri madness! Merry christmas to you guys too! This doujin is so cute! Kyosaya for christmas ;3; thanks madokami n yuri-ism!! 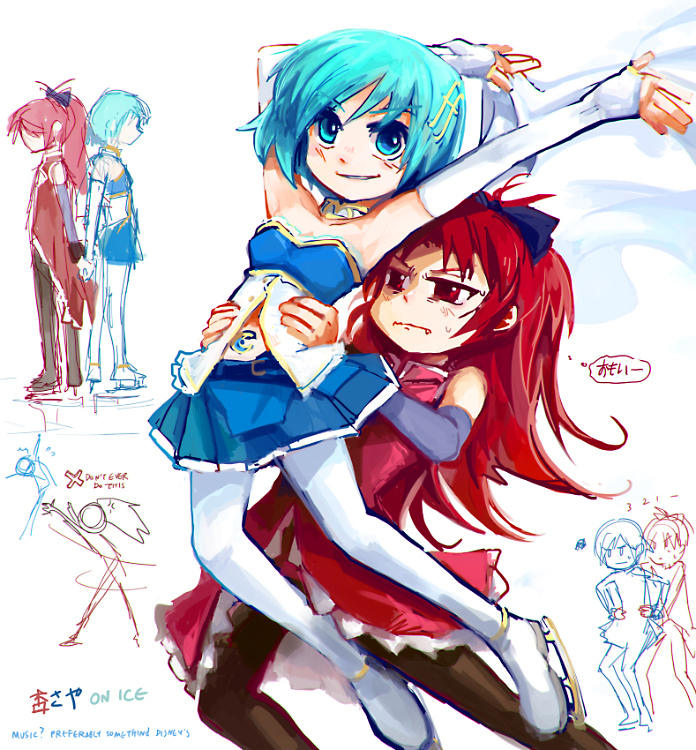 Been a while since I’ve seen a Kyosaya upload here, thanks! 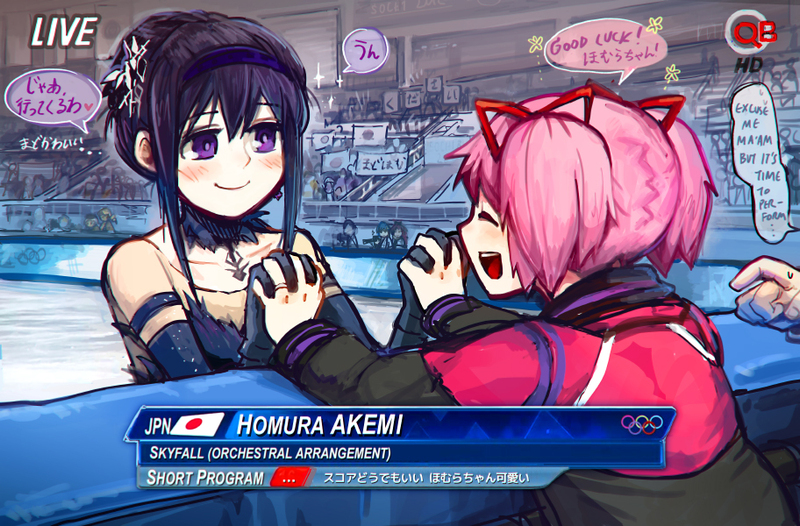 Thank you for this wonderful present, yuri-ism, and may you have a wonderful new year.